Keep it on your wrist. The latest version of Google Keep adds support for the Apple Watch. 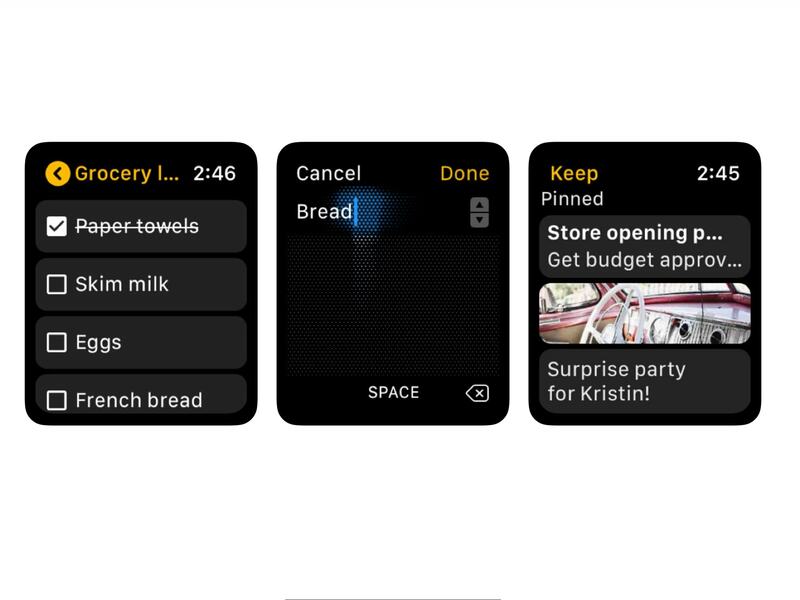 Now your favorite Google scrapbooking app — which surely doesn’t take any of your saved notes and use them for privacy-invading purposes — can be accessed from your wrist. Existing notes can be viewed as cards. Plus, you can quickly take new notes via voice or scribbling. Or you can use an emoji, although that’s likely to leave you scratching your head later, trying to work out exactly what you were supposed to remember. Bleass Delay is a delay effect plugin for music apps like AUM and GarageBand. But it doesn’t just repeat the last thing you played like an echo. It’s more of a repeat-based instrument in its own right, with filters, a phaser and pitch shifters in addition to the delay effects. Turn your Safari tabs into links. Tabs to Links does exactly what you think it does. It takes the open tabs in Safari on your Mac, and turns them into links. That’s handy enough — it’s a great way to save all the research links for a project, or just to keep everything so you can finally close that Safari window. But the app also will perform some tricks, like cleaning up the URLs to strip them of anything not in the actual page title, for instance. 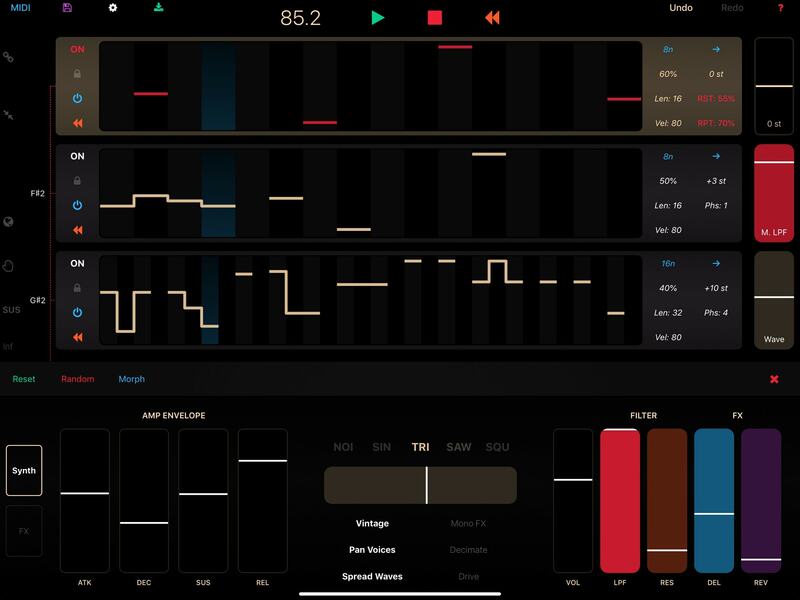 This iOS app generates music automatically, playing it using a built-in synth or sending it to other apps via MIDI. PolyPhase creates an ever-evolving master track, and three more tracks offer customizable variations on the the theme. The result is very musical, and it’s a perfect way for musicians to get inspiration.